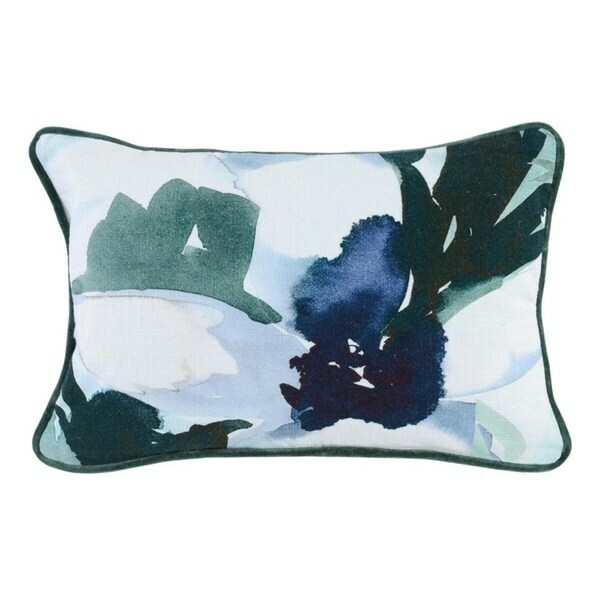 The Hatten Pillow embodies transitional style with its multi-colored hues and abstract water color inspired pattern. Designed in Los Angeles and hand-crafted by skilled artisans in India, this pillow depicts the eclectic flair of Asian cultures. Give into the inviting appeal of the pillow's plush down-filled comfort and versatile style. Dimensions 5.0 In. X 20.0 In. X 14.0 In.